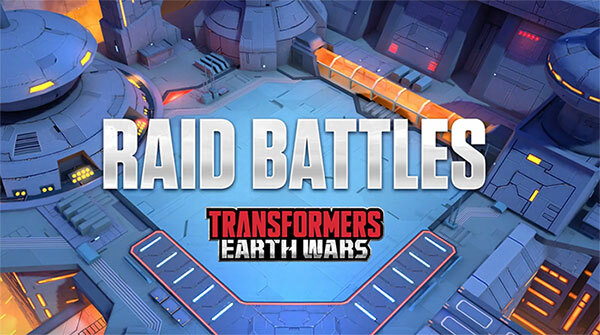 Transformers Earth Wars is expected to debut the new Raid Battles game mode on Thursday, November 29, 2018, and the team at Space Ape has released three videos to help players prepare. Below is a text rundown of what we can expect, based on the info we have thus far, from TFEW’s Raid Battles. Raid Battles are “a new alliance war mode where an entire alliance works together to overcome multiple strong raid bases to collect Raid Points and unlock rewards.” Please note that I have done my best on gathering all of these details, so if you noticed something in the videos that I missed you can Tweet them to @GamingFansDFN. 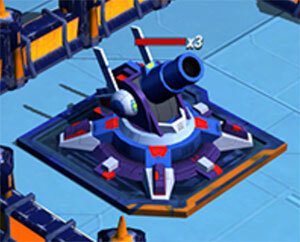 Bases are similar to those that we construct ourselves but have several massive defensive units including the Railgun cannons, Acid Launchers and the Thunder Tower. Think of the defense you see each day in this game, then multiply that by 10 (or more) in terms of strength while being three times the size (more on these mega buildings below). The destruction of any building grants you ability points to allow players to continue using their special abilities in battle. More from the VIP email, “Raid Energy Cells are required to attack a base. The amount of Energy Cells required depends on the game mode and the event setup. In Raid Battles each base has very high health so they will take multiple attempts to knock them down. The second video (below) specifically states that controlling the path of your bots towards the Headquarters is extremely important. Tip #1 – Ioannis from SpaceApe specifically suggests focusing early attacks on the center of the base so that the remainder of the alliance members can concentrate on one side or the other to get to the HQ. 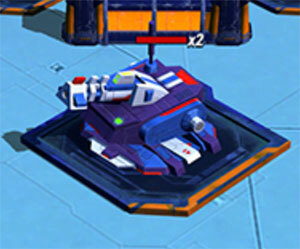 Tip #2 – The new mega buildings can be a major problem for low-health bots. 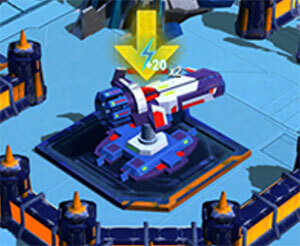 The Thunder Towers, specifically, have a larger range than shock towers and stun upon hitting your bots, so using an aerial approach is recommended. Note that Alliances will want to pay close attention to the future plans of Space Ape as they intend to make Raid Battles a mid-week event each Tuesday, Wednesday and Thursday. Thus, we will soon have special events ongoing six days a week in Transformers Earth Wars. In the third and final video, Ioannis reviews bot-specific abilities to help us in Raid Battles. His initial mention of Perceptor and Bombshell’s ability to hack buildings will help players handle the high-damage mega buildings. He also mentions the value of Silverbolt and Thundercracker’s special ability to stun targets for a long amount of time. Finally, he states that bots who can lower damage taken are also incredibly helpful specifically mentioning the Defensive Rush and Smoke Bomb abilities of Jumpstream/Headstrong and Tracks/Cutthroat. The Reflective Shield special ability of Hot Spot/Tantrum also comes to mind as useful here. Here is a look at four new Mega Buildings we can expect to see in the new Raid Battles in Transformers Earth Wars per the info sent in today’s VIP email. Acid Launcher – Fires an explosive shell that covers enemies in acid, slowing them and dealing damage over 5 seconds. Does not target flying bots. Luxom Destabilizer – Fires a searing beam that deals more damage the longer it hits a target. Targets ground bots only. Railgun – Deals heavy damage to all targets in a line. Does not target flying bots. 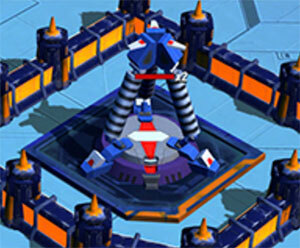 Thunder Tower – Blasts nearby bots with electricity, dealing massive damage and stunning them for 3 seconds. Immune to EMP effects! Does not target flying bots. Be the first to comment on "TFEW: What You Need to Know about Raid Battles plus Tips & Strategy"